I once cooked this for a big luncheon party alongside a nice, rare, roasted leg of lamb and everyone ignored the leg to tuck into the shoulder. The shoulder is cooked long and slow and is so tender by the end that it’s literally falling off the bone. It takes five and a half hours not counting prep time, so you have to plan ahead, but once it’s in the oven it’s pretty much trouble-free. 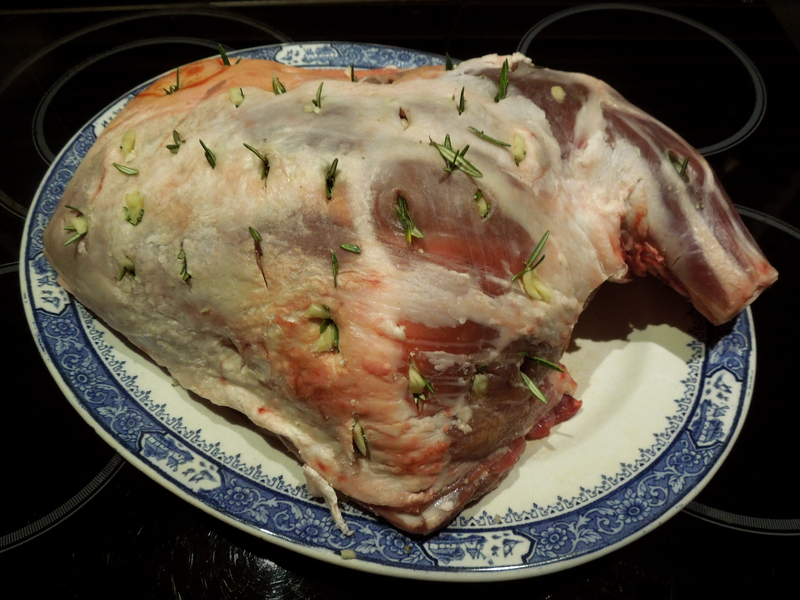 You can prep the lamb the night before, which will give the garlic and rosemary more time to penetrate the meat and give you an extra half hour in bed. 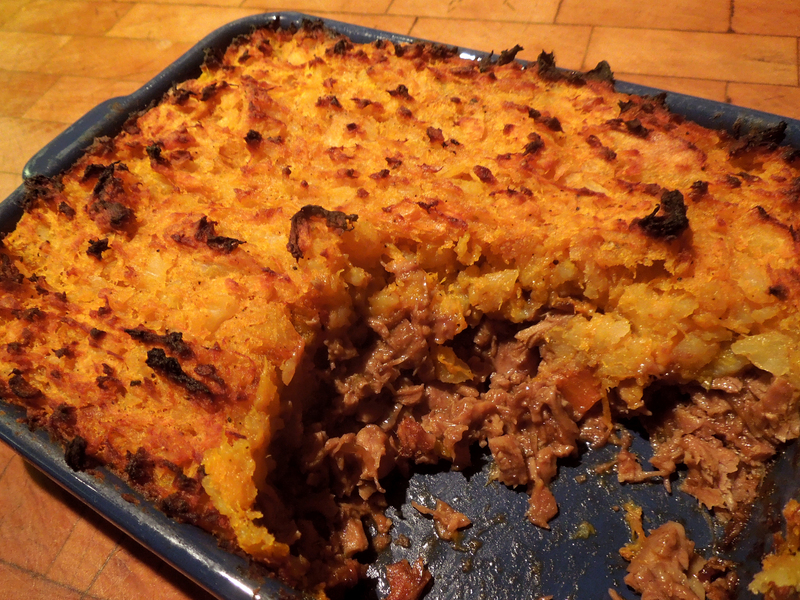 We had some leftovers – lamb, roast potatoes and gravy – so I made a Moroccan-inspired shepherd’s pie topped with a mix of baked squash and the roasties (below). Cut slits into the lamb shoulder and insert slivers of garlic and tiny sprigs of rosemary (not the woody bits unless you want to be picking them out of your teeth later). Season well with salt and pepper and if you’re doing this the night before, set aside in the fridge, loosely covered. Remove the lamb from the fridge half an hour before you start cooking. Preheat the oven to 190C/375F/Gas Mark 5. 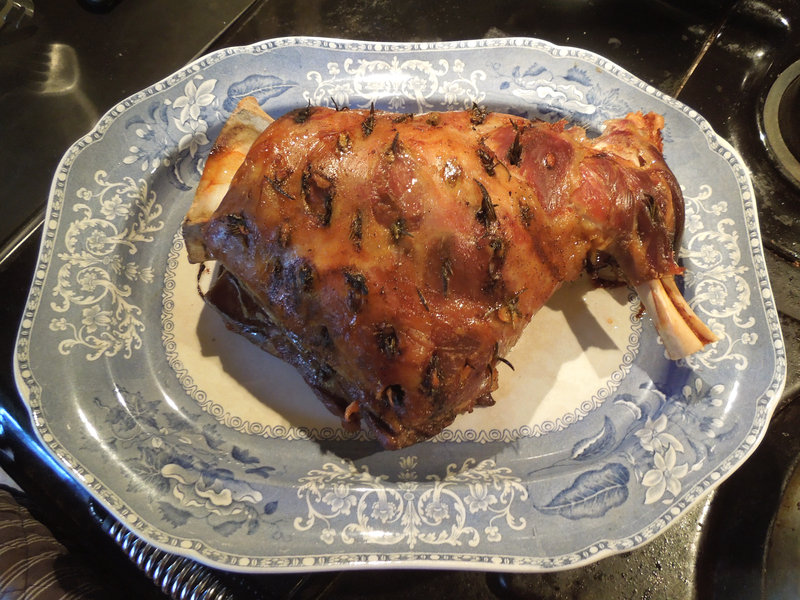 Scatter the onions, celery and carrots across the base of a large roasting tin and sit the shoulder of lamb on top. Pour in the water, tent with foil and place in the oven. After half an hour, turn the oven down to 150C/300F/Gas Mark 2 and cook for another four hours. Remove the foil and cook for a further half an hour to allow the lamb to brown. Remove from the tin and keep warm. Discard the veg in the pan (you can save them for a soup or the shepherd’s pie if you’re feeling thrifty). Skim off any fat and thicken the gravy with either a little cornflour dissolved in a few tablespoons of water or for a glossier finish, whisk in some beurre manié (equal quantities of butter and flour mashed together to a paste). A couple of glasses of red wine don’t go amiss, either: one for the gravy, one for the cook. Try serving it with roast potatoes, a separate tin of roasted root veg and a big bowl of lightly-cooked greens. It’s also good with steamed, well-drained leeks tossed in a little seasoned cream and sprinkled with a few chopped chives or spring onion tops. I like Moroccan flavours with lamb but you can leave out the spices if you like for a more traditionally English result. I made the topping with the leftover roast potatoes and extra butternut squash, but it’s just as good if you use the spuds mixed with leftover cabbage or sprouts, a la bubble and squeak, in which case omit the ras el hanout and grate a bit of parmesan over the top before cooking. The topping in the quantities given is quite sweet, so if you’d prefer it more savoury, decrease the amount of squash and add more potato. 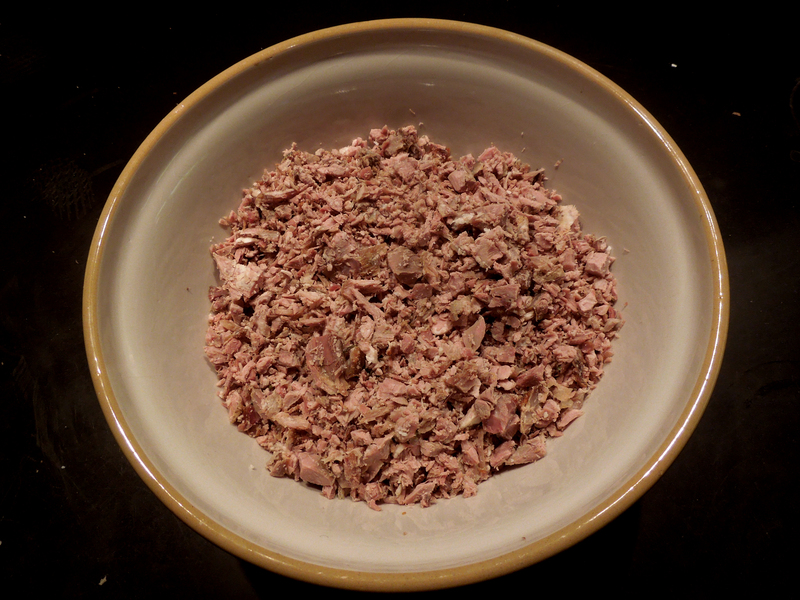 Chop the meat quite finely – I think this is nicer (and creates less washing-up) than mincing it. If you do it in a food processor, don’t turn it into a slurry. It should still have texture. In a deep, heavy frying pan heat a tablespoon of oil and fry the chopped onion, celery and carrot until softened. Stir in the cumin and coriander and cook gently for another minute or two. Add the meat and stir well. Pour in the red wine and/or tomato puree along with the gravy (add stock or water if you don’t have enough liquid) and cook until the mixture has thickened and reduced and the flavours have blended. Check the seasoning and spoon into a gratin dish. Allow to cool. In a food processor, blitz the roast potatoes but stop before they turn into mush – again, you want some texture. 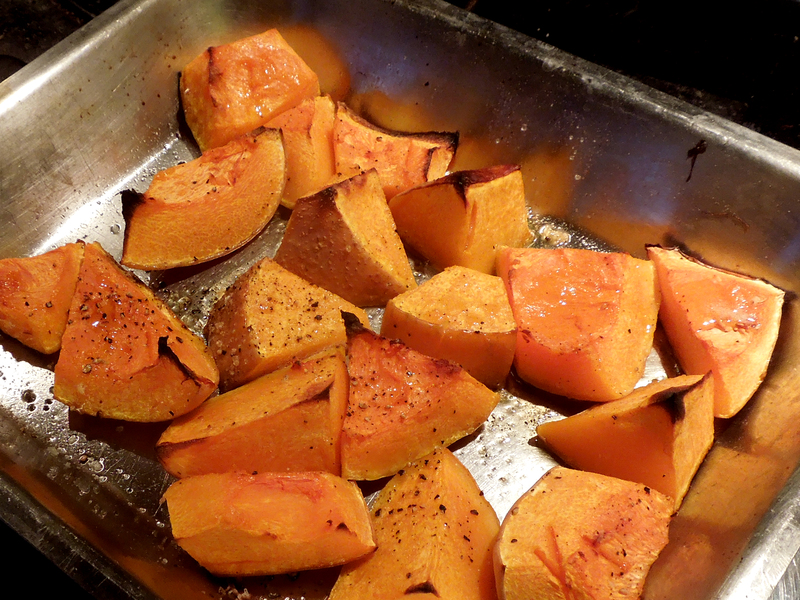 Scrape the softened squash out of its skin and mash it with a good knob of butter and the ras el hanout, if using. Stir in the blitzed roast potatoes. Check the seasoning and add plenty of ground black pepper plus salt to taste. Spoon onto the meat mixture, roughing up the top so you get some roasty, toasty bits when it’s cooked. Cook in the oven for around 30 minutes or until the top is golden brown and the filling is piping hot. 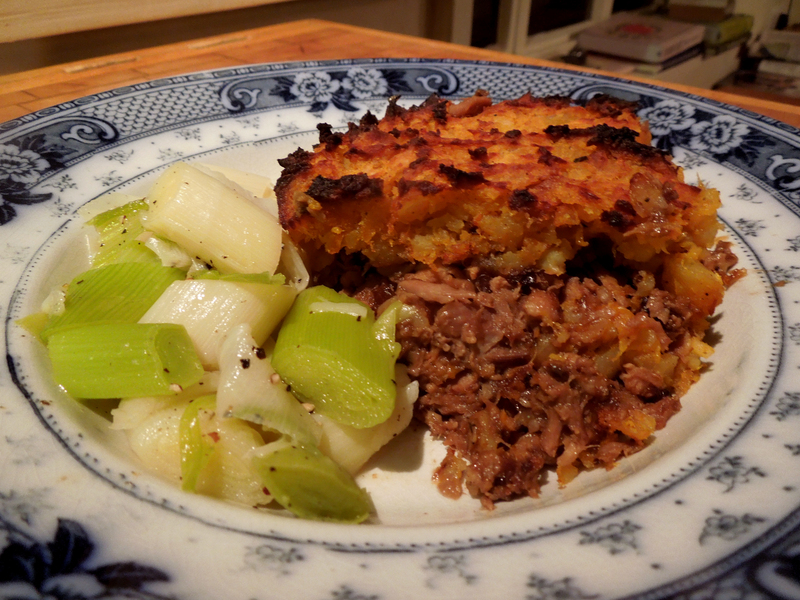 This entry was posted in Lamb and kid, Mains and tagged Moroccan-inspired shepherd's pie, slow roast lamb shoulder and leftovers, slow roast shoulder of lamb, spicy shepherd's pie, Sunday lunch, What to do with leftover roast lamb by Linda Duffin. Bookmark the permalink. Yum, can’t beat fally-offy lamb. I bet I could shove this in the slow cooker for the day too. 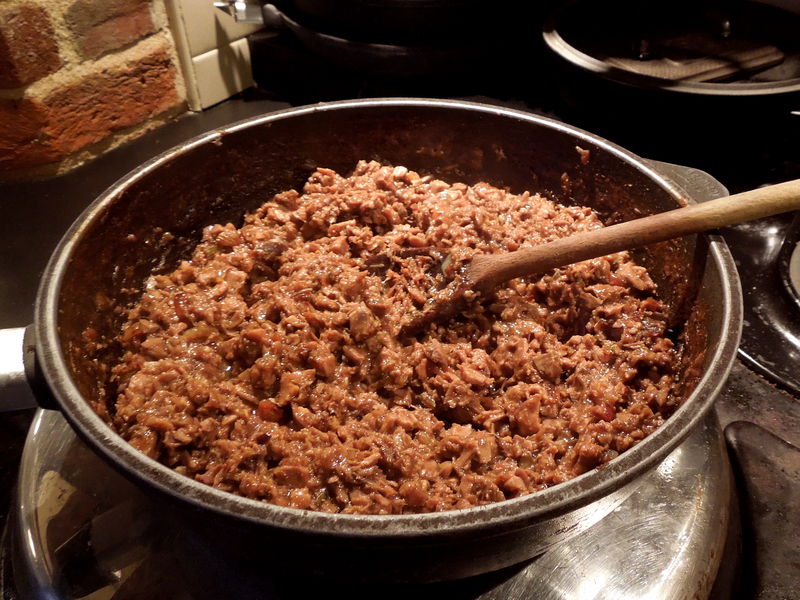 I often use lambovers (I wrote that by accident but I like it a lot as a word so it’s staying) to make shepherd’s pie for the kids but I like the idea of a spicy version – is it ouchy-ouch spicy or just the taste? No, it’s very gently spiced, just with coriander and cumin. I like ‘lambovers’. After reading your Burns Night post I thought fally-offy was a dialect word until I re-read it. Both now going into the family lexicon.